Every so often I like to write on here about things I like, and why I like them. I’ve (finally) been finishing my zine about Vienna, and there’s a section about Hundertwasser in there, but I didn’t really have enough space to say everything that I wanted to say, and in a b&w zine obviously you totally miss out on the colours, which are a major part of his work, so here is a longer thing about him and his work. 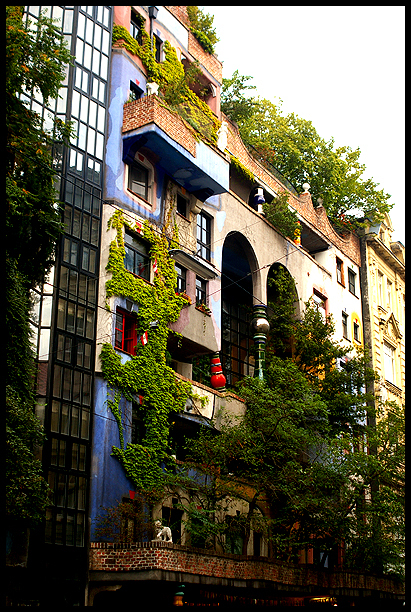 I’ve visited the Kunsthaus/Hundertwasserhaus in Vienna quite a few times, and I wrote about one of my visits here. I first came across his work in 2001, when I was 16/17, and bought a £3 book from a discount shop because it looked interesting from a quick flick through. I’m glad I did! 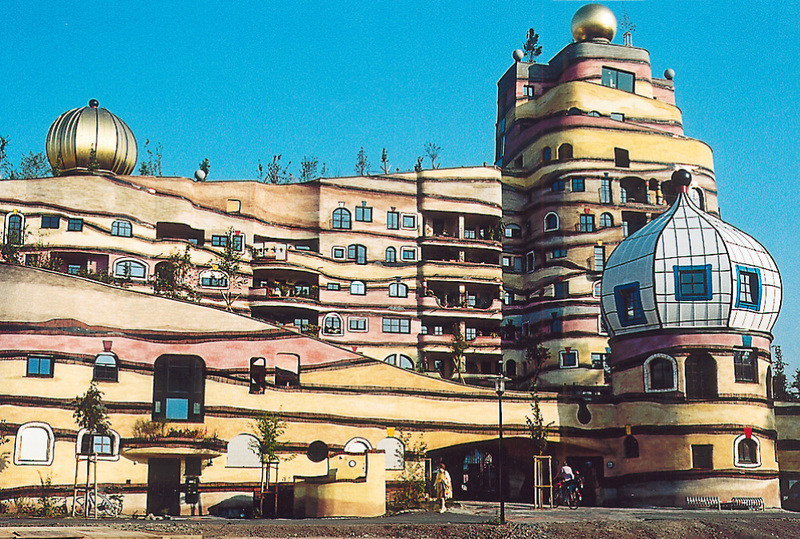 All the pictures in this entry are either taken by me, or come from hundertwasser.at. I don’t feel like I’ve really caught my exact favourites here, but collecting images from lots of different sources and making sure they were all credited properly would have taken a long, long time. Here’s an overview of some things. 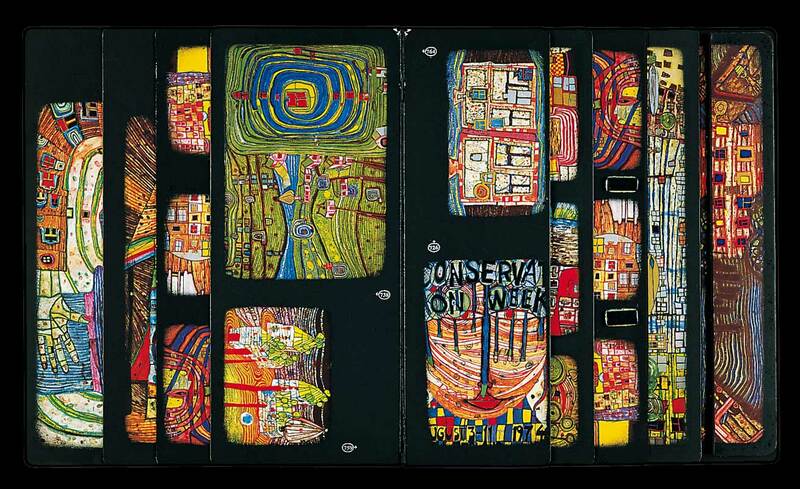 Friedensreich Hundertwasser was an Austrian artist, architect, fashion designer and environmentalist. He was born Friedrich Stowasser in 1928 and died in 2000, very famous in Austria, Germany and NZ, but not really a household name in the UK. 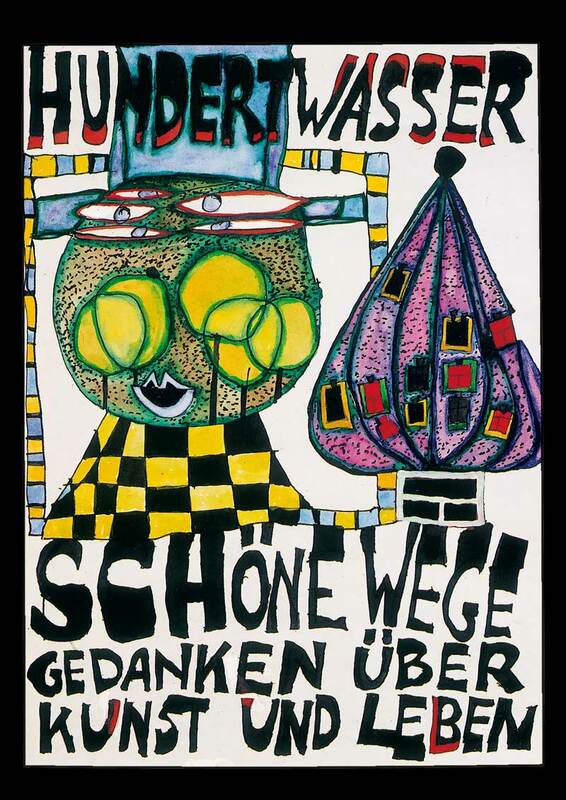 Sto means hundred in various Slavic languages, so he started using the pen name Hundertwasser, and his first name gradually mutated into Friedensreich, which means “peaceful country” in German. His family were Jewish, but managed to spend the war hiding out by pretending to be Catholics. He joined the famous Akademie des bildenden Künste in Vienna, but found it stifling, and left to travel the world. 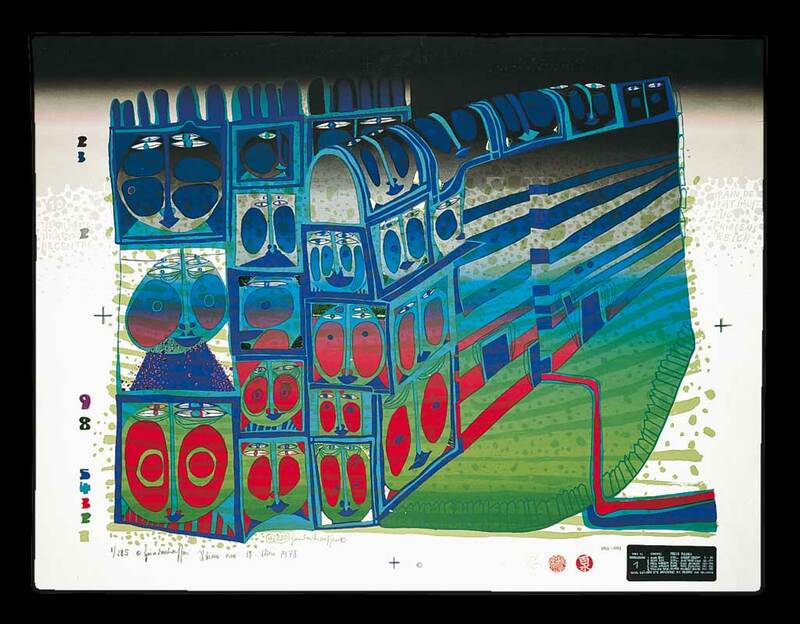 Originally he was a painter, but he also became an architect and graphic designer, designing a lot of buildings and stamps in Austria and New Zealand (where he eventually was also given citizenship). Strangely he was also a supporter of the Christian Democrat party. 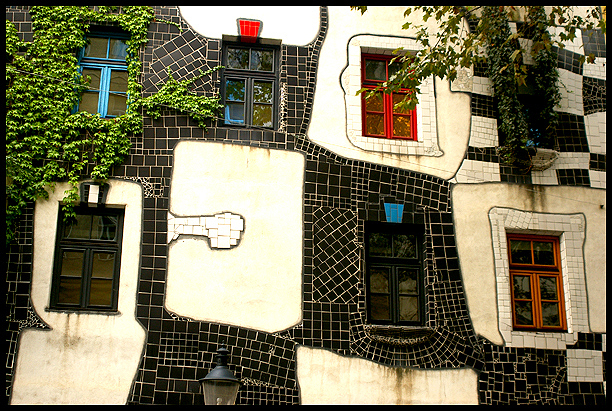 Hundertwasser’s buildings looked a lot like his paintings. Here’s his manifesto against straight lines and uniformity in residential buildings. Block of flats for a housing association in Darmstadt. Heating plant in Vienna. The brief was to create a less boring facade for the building. 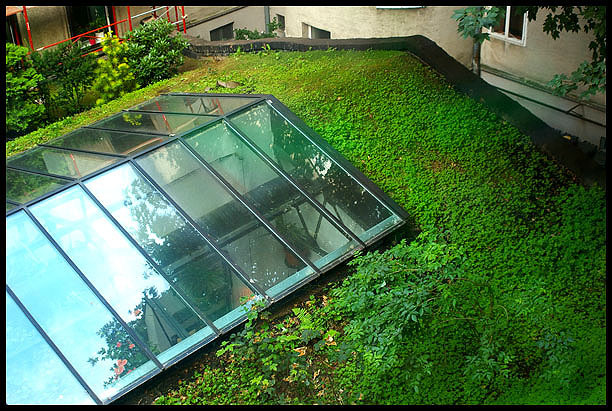 The buildings weren’t just decorative on the outside, they are designed to be comfortable inside, extremely energy-efficient, and use trees and plants worked into the design, which he called “tree tenants”, especially insulating and water-proofing the roof with turf and gardens. He worked with other architects to create the buildings, he would do the design, and they would help with the practical details that would make it work in real life. 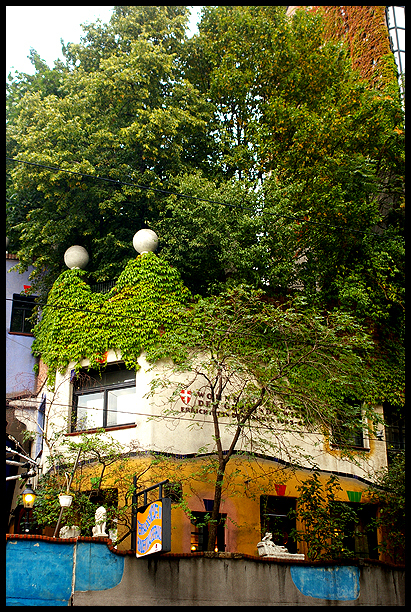 The Hundertwasserhaus in Vienna is the first block of flats he designed and actually had built- tree tenants in full view. 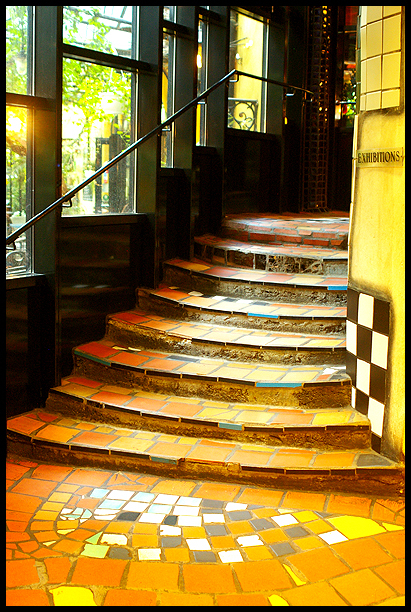 There’s a cafe on one side on a terrace, and the flats are designed so each one is a decorated a little differently, with paint and mosaics. The original idea was that the (human, non-tree) tenants should be free to customise the outside as they liked, but I don’t know how well that is held to these days 30 years down the line. 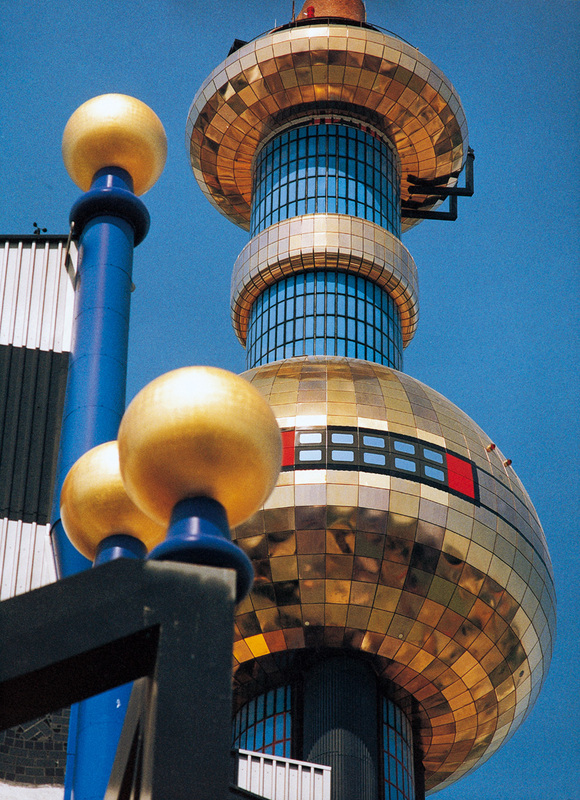 He also designed his own museum, around the corner, the Kunsthaus Wien. 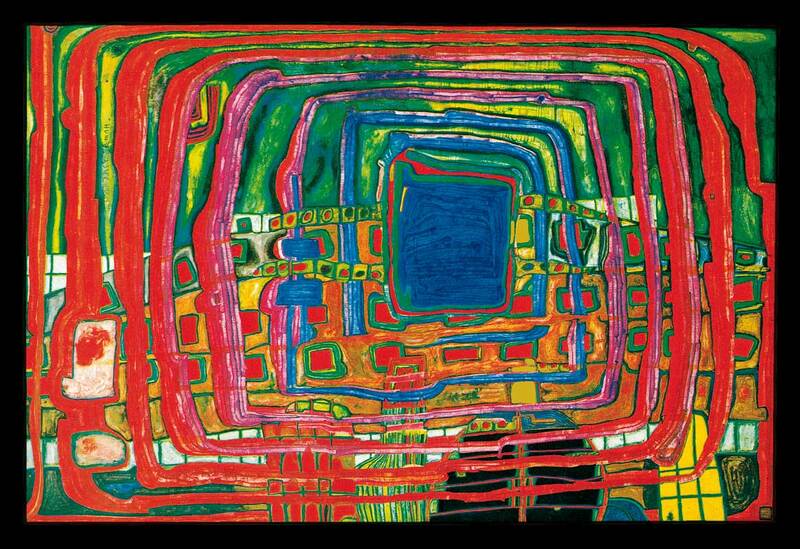 Hundertwasser liked his floors as undulating as his lines. Everywhere is lined with these mosaics, and there are windows and plants everywhere, with the museum arranged around a central courtyard with an indoor garden and fountain, to give it as natural and relaxed a feel as possible. It’s a very peaceful feeling place inside. Right after I took this in the museum, an officious gallery assistant dressed in expensive black came over and told me off for taking photos, and then went and told a little boy off for essentially being interested and happy. I don’t think Mr Peacefulcountry Darklymulticoloured Rainyday Hundredwaters would be happy about that, cantankerous old hippy that he was. 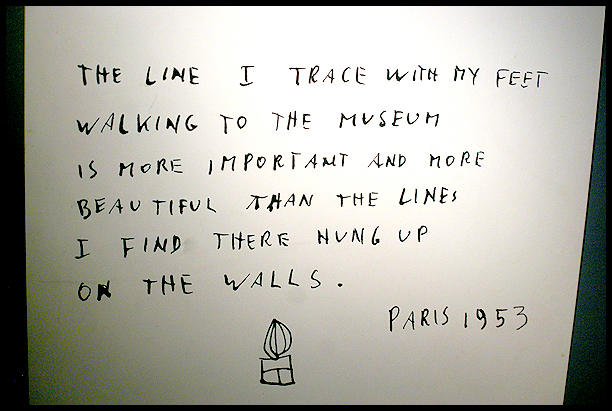 I have issues with the way the museum is run. 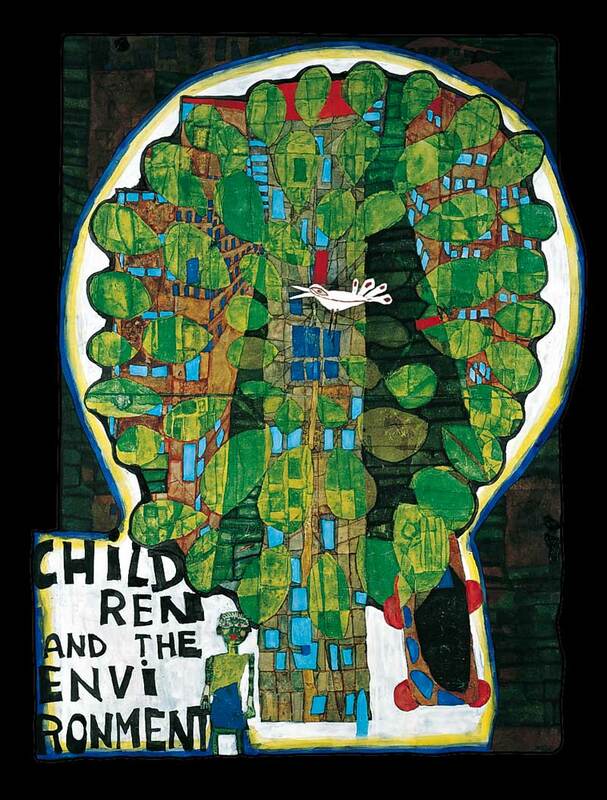 The exhibitions are all about Hundertwasser going off on adventures on his boat the Regentag (rainy day), being insistent about doing everything in his own idiosyncratic way (down to only wearing self-designed clothes), and designing buildings to make them friendly and warm and individual, and just generally being free-spirited and iconoclastic yet the museum is run in the most conventional, cold and off-putting way. Some of the staff act like they really wish the visitors wouldn’t clutter up the place so, the gift shop is full of very expensive things, and photography seems to be mysteriously allowed in some parts of the building, but not in others, and children are definitely considered a nuisance It’s also quite expensive to get in. 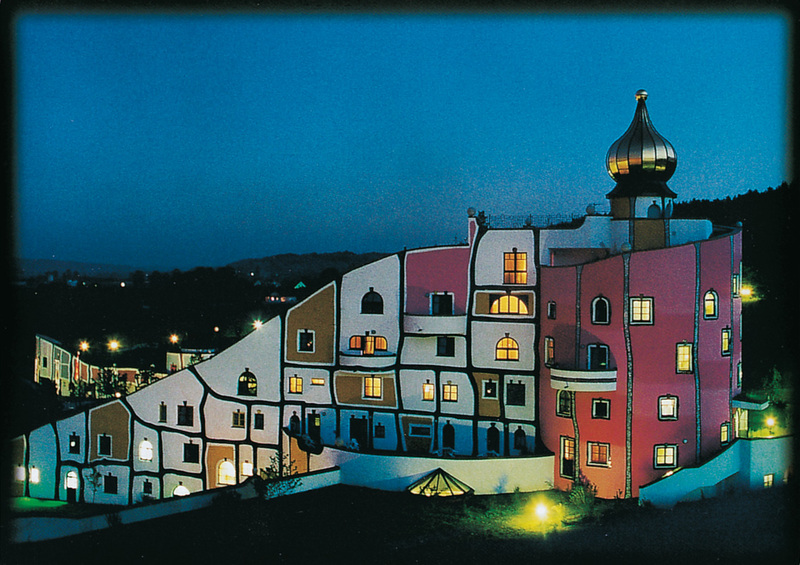 I suppose Hundertwasser himself is dead, so can’t say anything about it. Despite that, I’ve been there multiple times every time I’ve been in Vienna. go ahad and ցive үou a shout out from Kingwood Tx! Juust wanted to mention keep up the fantastic work!